Travel with Kevin and Ruth! : Manitoba - Fishing, Hunting, and Polar Bears! We haven't spent much time in Manitoba, but we would like to spend more time. And we have one "bucket list" goal that is located in Manitoba. There is only one major city in Manitoba, and that is Winnipeg. Affectionately known to other Canadians as "Winterpeg" due to it's consistently cold winters. The population of Winnipeg is just under 800,000 people. Ruth and I visited Winnipeg on our western trip from Ontario in the fall of 2007. Manitoba currently has two National Parks. Riding Mountain National Park is the more southern and accessible recreational park, while Wapusk National Park in the remote NE section of the province. Wapusk National Park is Canada's least visited National Park. In fact, it receives an average of only 230 visitors per year! And get ready to feel like a celebrity if you visit there. Any time you enter the park, an armed guard will accompany you. The park is only accessible by helicopter or tundra buggy through a licensed outfitter. There is a high population of both wolves and polar bears. Taken at Wapusk National Park. Photo courtesy of Parks Canada. Speaking of polar bears, this is our bucket list item for Manitoba. 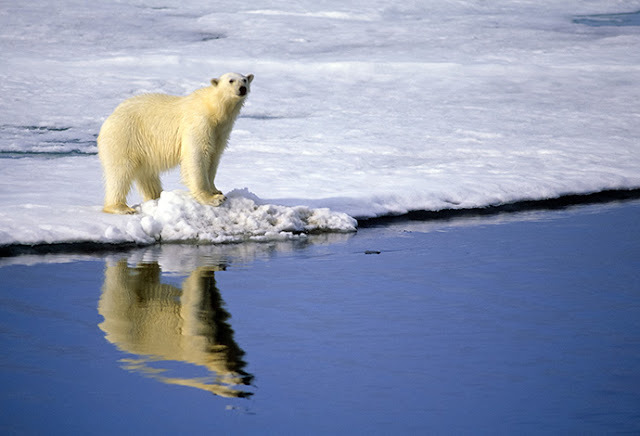 The northern town of Churchill is located just west of Wapusk National Park and Churchill is the base for any tours to see polar bears in the wild. But, you can't drive to Churchill. You have to either fly, or take the train from Winnipeg. One year we are going to do this. It's quite expensive, but it's one of those things that is a once in a lifetime event, so if you want to do it, you just have to bite the bullet. Last fall we spent a few days in Manitoba on our motorhome trip back to Ottawa. There are a lot of lakes in Manitoba. Fantastic price drop on a rechargeable cordless drill...highly rated, and dirt cheap! 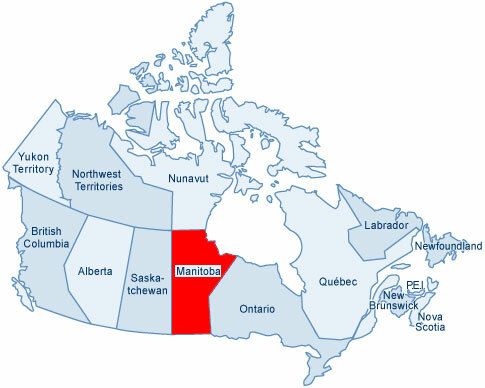 Very interesting information about Manitoba! It's one of those places I've never even thought about much. It would be fun to do some exploring there. I didn't realize there would be polar bears in that region, but it makes sense once I look at the map. Thanks for sharing Canada with us! The polar bears are in the northern reaches of the province along the coast of Hudson Bay. Churchill is world famous for their polar bears. We look forward to spending more time in Manitoba one of these years, especially around Lake Winnipeg, Lake Manitoba and Riding Mountain National Park. We don't doubt that the skyline has changed over the last 10 years. I think when we were there they had only just finished beautifying The Forks area and building the Esplanade Riel pedestrian bridge. That was perhaps the beginning of the improvements to the downtown Winnipeg area. Looks like we may have to check it out again some day soon. I am enjoying learning more about our neighbor to the North. Y'all sure have an amazing country. I think I have a blog reader from Churchill. I see the mark on my site map. I watched a great NatGeo series on Churchill and its polar bears. That is a great place to visit, no matter how you get there. Good thing to have on your bucket list. Churchill has been on my list for a long time. One day we will get there. Likely as far as we can drive in the RV and then the train. I think the nearest you can drive and then hop on the train is The Pas, Manitoba. The polar bears are worth every penny you spend ... even better, stay on the tundra in one of the buggy lodges ... you won't regret it. Excellent, thanks for the tip Erin! You can drive to Thompson MB , you can even drive to Gillam which is even closer to Churchill, however the road from Thompson to Gillam is rather wild they tell me. I haven't gone beyond Flin Flon myself, however I did have a friend who lived in Thompson and drove there. I spent the first 50 years of my life in Manitoba and there are many lovely places to see. The lakes are beautiful and Winnipeg has much to offer in the arts. It was the mosquitoes and the snow that finally drove us to Vancouver Island about 30 years ago. Yes, Thompson looks like it could be doable in an RV but I doubt that the road would be conducive to a RV past that. I certain looks like it would be an interesting area to explore though. As of a couple of days ago, it looks like rail travel is out of the question now, at least for a while as the railway line has at least 24 damaged areas due to flooding and some areas the land completely beneath the line washed away and the rails just hanging in mid-air. I hope that they can get it fixed quickly because the railway is basically the town of Churchill's lifeline.